Someone once asked me, "Bob how can you say in one breath that God has little to nothing to do with this world, yet then say that the USA one of the lost nations of Israel? In addition, that if we do not obey God, our nation will be destroyed by him? Which scenario is it, God involved or Satan’s world?" I am quite sure that many have asked themselves the same question and let me assure you that there is an easy answer! God was totally involved in our world in the days of Adam and Eve. He (One of the divine Godhead that became Jesus) personally walked with them, talked with them and instructed them how to live in a godly lifestyle and have life forever. God had every intention to be involved in our lives from the start, just as any human parent has those same plans with their children. Then sin entered the world through Adam and Eve’s disobedience of God’s Laws. Remember there is only one biblical definition of sin. "Sin is the transgression of the law." (1 John 3:4) Without the law, one cannot sin! (Romans 3:20 and Romans 7:7) When Adam and Eve broke God’s laws, they sinned. The Bible also gives us another term: "The wages (or penalty) of sin is death." ( Rom 6:23) Therefore breaking the laws of God, brings death! Therefore, Adam’s sin brought death to mankind. Radio and television host Glenn Beck is now going public with his belief the United States is among the famous “Lost 10 Tribes of Israel,” and America today is suffering calamaties just as ancient Israel did due to its disobedience to the laws of God. Echoing the conclusions of some experts who have delved deeply into what’s known as the theory of “Anglo-Israelism” or “British-Israelism,” Beck took viewers of his TV show into a biblical history lesson dating back to the time after King David of the Old Testament, when the once united kingdom of Israel became divided. The Plain Truth: Colorado Fires set by terrorist! If we remember, Muslim extremist promised this would happen 3 years ago, but the media is just concerned about Miley Cirus. 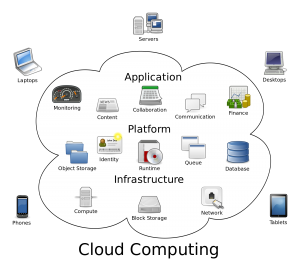 According to reports, all personal information stored on major cloud computing services can be spied on by US agencies without users’ knowledge or even a search warrant. This is all reportedly being done under the recently reauthorized Foreign Intelligence Surveillance Act (FISA) and has led British Members of Parliament to call on the British government to not only end the use of cloud computing but also stop sharing intelligence services with the U.S, according to the Independent. It’s worth pointing out that the US government has admitted breaching the Fourth Amendment under FISA while maintaining an absurd level of secrecy around the Act. Given the massive expansion of the Pentagon’s cyberwarfare forces and the exponential rise in surveillance overall, people around the world have a quite legitimate reason to be concerned. Apparently, US agencies have been able to access private data stored on the cloud since 2008 while no one had any clue it was going on. This should come as no surprise for those who understand just exactly what the Catholic Church represents. 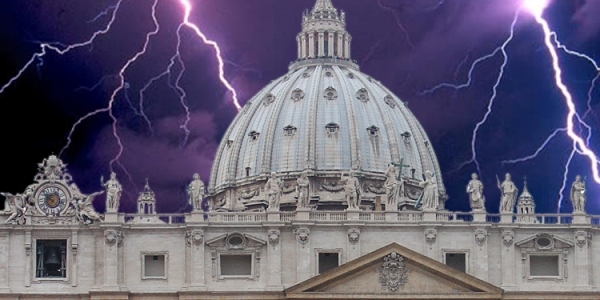 It’s a matter so dark and serious it has only been whispered about behind closed doors in Vatican circles by courageous priests such as the late John F. O’Connor, Alfred Kunz and the late Malachi Martin. 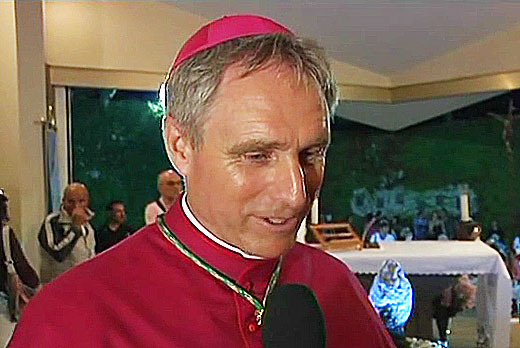 But now, thanks to the release by the Holy See of an official bulletin titled “Acta Apostolicae Sedis,” it has been confirmed that the papal conclave that elected Pope Francis March 13 heard a message, immediately before the voting, from a senior cardinal dealing directly with the threat of “The Smoke of Satan” descending on the Vatican itself. The meditation about “that which Christ wants from his Church” was delivered by Maltese Prosper Grech, an 87-year-old Augustinian who could not participate in the vote. After his meditation, reports the Catholic online newsletter Chiesa, he left the Sistine Chapel. TheBlaze’s national security adviser Buck Sexton appeared on TheBlaze TV Monday to discuss what he described as a “very specific version of Islamic jurisprudence” that partially explains the recent wave of attacks on Christians in Egypt. Sexton proceeded to point out that the Coptic community in Egypt is one of the oldest Christian communities in the world, and many of the areas we know think of as firmly “Islamic,” like Istanbul (Constantinople) were actually Christian long before the Islamic conquest. “They were put under the status of dhimmitude, which essentially over time, either forced them to accept Islam or live in this legal area where they could be killed [or enslaved],” Sexton said. First published two years ago!!!!! The Plain Truth accurately predicted today's problems in Egypt because we understand who is who in Bible Prophecy! Just my short view of The Plain Truth of the farce that is going on in Egypt in which you are being told is a democratic movement underway! It is not! This Muslim Brotherhood overthrow of Egypt will lead to bloodshed and the massive slaughter of Christians and mainstream Egyptians alike. Obama's pro Muslim brotherhood agenda will lead to thousands of deaths, and most probably fulfill the Bible prediction that Egypt will not escape the clutches of the yet to rise King of the South. The Bible is fulfilling prohecies right now - in your sight! Forward by Bob Barney-ThePlainTruth.com - As an owner of a small paint manufacturer, I know better than most the struggles that small businesses are experiencing today, especially in this age of liberalism and pandering to big business at the expense of the family farm and the small family business. We as Americans need to see what big business is - IT IS EVIL, not less evil than BIG GOVERNMENT! In fact the two cannot survive with each other! Historically, small businesses have been the primary engine of new job creation in the United States. If the economy was getting healthy, we would expect to see the number of jobs at new businesses rise. Instead, we are witnessing just the opposite. We are told that the economy is supposed to be "recovering", but the number of "startup jobs" at new businesses has fallen for five years in a row. According to an analysis of U.S. Department of Labor data performed by economist Tim Kane, there were almost 12 startup jobs per 1000 Americans back in the year 2006. By 2011, that figure had fallen to less than 8 startup jobs per 1000 Americans. "Pope Francis rocked some religious and atheist minds today when he declared that everyone was redeemed through Jesus, including atheists ... the Pope's words may spark memories of the deep divisions from the Protestant reformation over the belief in redemption through grace versus redemption through works." This pope is revealing that the age old false doctrines of the Roman Catholic Church still exist today. So let's get this right. You can be an atheist who rejects Jesus Christ, and yet still be saved by your good works. 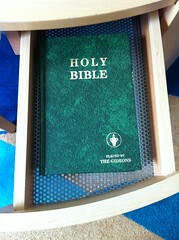 This is a clear contradiction to Bible truth. We are NOT saved by our own works, and we are certainly NOT saved by the Roman Catholic Church. We are saved by Jesus Christ alone! See even more false doctrines of the Catholic Church. Pope: "It's okay to be an Atheist"
Is there a link between religion and happiness? Note: Yes, you read that correctly, when you see all the hype of 186,000 people got jobs last month, on average 77% of that number - where part-time hirees. Only Obama could get away with the scam of scam. Real unemployment is about 25%! While many economists have described the employment picture as gradually improving in recent months, by one measure it's not improving at all. In July, only 92,000 of the 266,000 jobs created were full-time — just 35 percent of the total. You may wonder why the total number of jobs created isn't 162,000, the number commonly used by news services. That number is calculated from the Labor Department's establishment survey of employers. The 266,000 is calculated from the department's household survey. For the year through July, only 222,000 jobs created were full-time — representing just 23 percent of the total of 953,000, according to Zero Hedge. What Signs Should We Look For in These Times? Are we living in the last days? Are we in the end times? Is the return of Jesus Christ right around the corner? These are the questions that many of us ask ourselves whenever we read the book of Revelation or the Gospel of Matthew concerning the return of Jesus Christ and his kingdom of God that he is bringing with him. First of all there is a misnomer, with the term “end times” that most people have. Jesus was never talking about the end of the world and John in his book of Revelation wasn’t either. While both men were talking about is best described with the phrase “the end of the age” of mankind. When God created man, Adam and Eve to be exact, a new age upon this earth began. It was the age of mankind and it began approximately 5 to 6000 years ago, as best we can tell. Adam was set up to rule this earth during this age, but because of Adam’s sin he lost his right as ruler of this age–the age of mankind. Many are not aware that the Bible plainly states that the Earth is much older than man. In fact, those who believe the earth to be billions of years old are not necessarily in conflict with the Bible at all! It is very possible that the earth is very old. In Genesis correct translation of God creating the heavens and the earth is that God re-created the earth after a cataclysm that is not mentioned. This former earth was under the rulership of the great archangel Lucifer, the angel who rebelled against God and became Satan. If Adam had not sinned, he would have been the ruler of this age. But Adam did sin and was not able to replace Satan is the ruler of this age. The Gospel of Jesus Christ, one that is rarely ever presented in churches today, is that Jesus as God is coming back to replace Satan as the ruler of this earth and usher in a new age. When Christ returns, he is bringing the kingdom of God with him, a government that will have no end, and the age of man will come to an end. That is the gospel that just is not preached today. Jesus was not merely talking about salvation, he definitely wasn’t talking about how to get to heaven, he was talking about bringing God’s government to earth, complete with God’s laws and love. 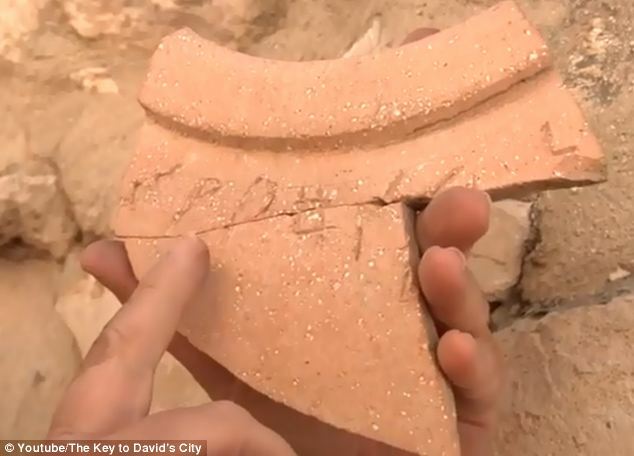 A small fragment of ancient pottery found in modern Israel has shed light on its Biblical inhabitants and could prove that the reigns of King Solomon and King David actually occurred. The 10th century BC 'Ophel Inscription' was unearthed last year, and scientists were initially baffled by the bizarre language that was inscribed on the remains of a jug. But leading expert Dr Douglas Petrovich believe the language is a primitive form of Hebrew which suggests the ancient Israelites were accurately recording history much earlier than previously thought. When the inscription was originally discovered in December 2012, experts immediately presumed it was an example of Canaanite language. The Canaanites were a Biblical people who lived in what is now modern Israel. But ancient Near Eastern history and biblical studies expert Dr Petrovich has said that this is incorrect and that the mysterious language is in fact the original and oldest form of Hebrew – placing the ancient Israelites in Jerusalem far earlier that previously thought. Could a Piece of Pottery Prove the Bible is True?